Does that mean it's an entrance? This led to a ground-level passageway under the main building. 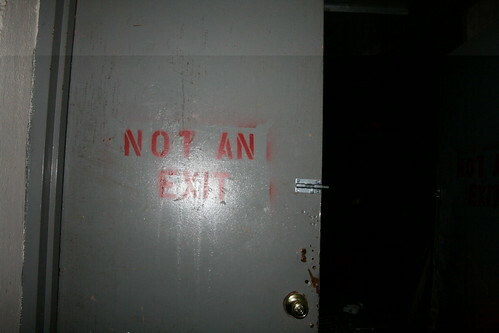 Hence, the "not an exit" stenciled spraypaint served to warn panicked guests in the event of a fire that they were headed for certain doom.